The increase in VAT that has come upon us as South Africans means that the cost of living will go up more than the usual expected yearly increase. Tightening your financial belt doesn’t only mean sacrificing your daily expenditure – your savings may just feel it too. Bank at least 20%. Ideally, at least 20% of your income should go towards savings. This may sound like a lot at one go, however when considering that it could be put away as an emergency fund, an interest-bearing savings account or a retirement annuity, it begins to sound less daunting. Following the 50/30/20 rule will enable you to effectively carve out a solid chunk of savings over time. You can do this by allocating your income as follows: 50% for ‘needs’ (or necessities), 30% for ‘wants’ (like eating out, new clothing, etc.) and 20% for savings. Keep an emergency fund on hand. A financially sunny day can turn into a rainy day without warning - so it’s always best to be prepared. Emergency funds offer you peace of mind in the event that you lose your job or are faced with a major unexpected expense like an operation or car repairs. Ideally, an emergency fund should contain between 3 - 6 months’ worth of your salary, as this should provide sufficient financial leeway in the event of any unexpected life event. Start a savings account. Savings accounts should ideally be used to save for a specific goal, like a down payment on a home, or that all-important new appliance. 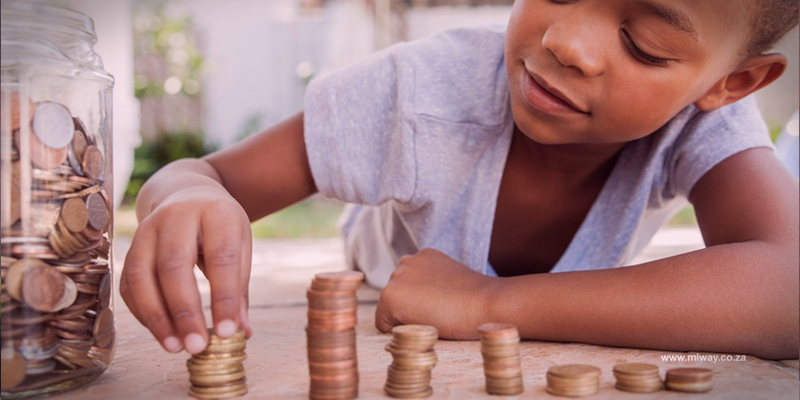 Rather than being set up specifically for unplanned emergencies, savings funds enable you to put away money for an achievable goal, and thus incentivise you to save. After all, if you’re working towards something, you’ll be less likely to splash out on unnecessary items when the temptation arises. Savings vs. Debt. There are some who believe that dipping into an emergency fund to relieve debt is a sensible course of action. And while this may seem smart enough in crisis-free times, it could end up having an enormous impact should something terrible happen. So rather than dip into your savings, gradually pay back your debt by using a portion of that 30% ‘wants’ part of your budget – that way, when the unexpected happens, you won’t be left without a leg to stand on. While overseas holidays or new phones might seem like the types of things one can only afford thanks to an interest-heavy loan, the good news is that saving isn’t as difficult as it might seem. The reality is that it all comes down to careful planning. Take a look at what you’re paying for car insurance, and you may be able to put aside more money each month.